It’s that time of the year again, when world leaders, experts, activists and representatives from affected communities gather to negotiate the best way to tackle climate change. There is so much at stake – lives, livelihoods, industrial growth, economies of countries and the future of our planet. So it shouldn’t come as a surprise that the negotiations between countries are quite complex, long drawn out and ‘heated’. Beginning from December 3rd is the 24th round of annual negotiations, among 196 countries in the world, on dealing with climate change under the UN Framework Convention on Climate Change (UNFCCC). The meeting, called COP24, is being held in Katowice, Poland this year and is expected to have an attendance of about 20,000 people from across the world. For two weeks, country representatives led by their ministries of environment/climate change will engage on a diverse set of topics including financial requirements, emissions reduction, adaptation needs, governance and transparency. As an observer to the UNFCCC negotiations and a premier research, policy and practice oriented institution in the sector, WOTR brings to you its curtain-raiser on the upcoming global climate meet. What is in the agenda at COP24? In December 2015, an ambitious global agreement to combat climate change was agreed upon; it will start getting implemented by 2020. Known as the Paris Agreement, this outlines the broad contours of the areas of action, timelines to be followed and the global goal of limiting global warming to between 1.5 and 2 degree centigrade. However, it doesn’t spell out the details of how exactly the areas of action are to be implemented, the priorities, the obligations and commitments, the financing of actions, the supporting mechanisms, etc. These are expected to be elaborated in the “Paris rulebook”, the main point on agenda at COP24, Katowice. There are a number of major issues that have been stalling progress on the Paris rulebook during the year, principal amongst these are: the issues of finance and differentiation. In 2010, developed countries had agreed to mobilise US$100 billion per year to provide “means-of-implementation” to developing countries in order to combat climate change. However, the world economic outlook, lack of support from the United States, the rapid growth of China, etc have all contributed to some of the developed countries – especially US and its allies – developing cold feet on this commitment. These countries don’t want the explicit mention or even a discussion on the quantum of financial obligations, the nature of the financial instruments, reporting requirements, etc. And most critically, it is not clear if issues such as ‘equity’ and ‘differentiation’ would apply to future cycles of climate action, where countries are expected to revise and increase ambition every 5 years (known as ‘ratcheting up’ in climate climate negotiations jargon). The 17 member delegation from India is being led by Union Environment Minister, Dr Harsh Vardhan. On the eve of his departure to Katowice, the Honourable minister stressed that India’s expectations are for the Paris rulebook to “take a pragmatic approach, giving due consideration to challenges and priorities of developing countries inter alia different starting points as compared to developed countries, their vulnerabilities, development priorities like eradication of poverty, food security, energy access, providing health infrastructure etc.” This has been the traditional position of India at the negotiations for a number of years, and it will continue to be a very challenging position considering the double-edged sword that the development-climate change nexus brings in. India is currently faced with an agriculture sector in deep distress, poor incomes, heightened vulnerability to weather variations and rising protests from farmers for more safety nets. Provision of such safety nets, whether in the form agriculture insurance, compensations in times of extreme weather events, loan waivers or demand for higher procurement by government is putting immense pressure on the government which is torn between populist policies and setting a stable economic narrative. On the other hand is the rising urgency for action, as highlighted by recent reports by the IPCC (Global Warming of 1.5 C) as well as the UN Environment Programme (Emissions Gap report 2018). In a recent statement, the UN Environment Deputy Executive Director Joyce Msuya described the situation as, “If the IPCC report represented a global fire alarm, this report is the arson investigation”. 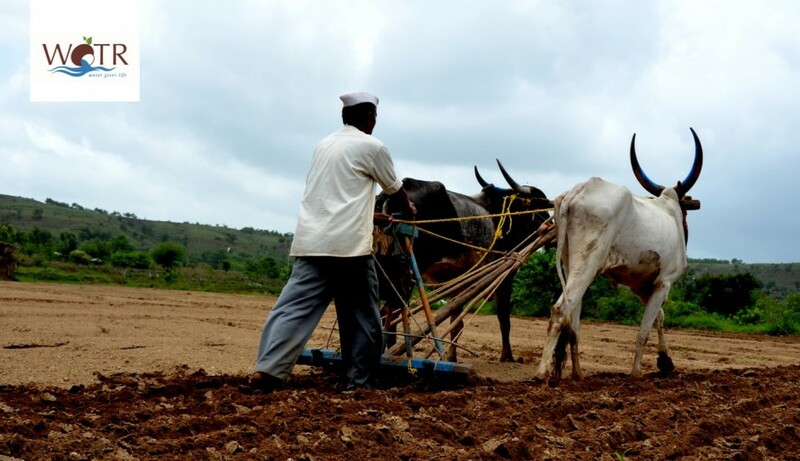 The implications on farmers in rainfed drylands that make up about 69% of India was highlighted in a recent International Consultation in Pune, organized by the Watershed Organisation Trust. Of course everyone must take responsibility, must act and provide support. But can the countries – both developed and developing – take a step forward with increased ambition and responsibility at the negotiations and work towards a clearer and more concrete outcome at COP24? We’ll be back with more insights during and after the conference, particularly studying the implications on sectors like water resources, agriculture, climate finance and others that are critical to India.